Friday Fixer-Upper: Jesse B. Robbin's House in Missouri! by Rachael Meyerink. Source: Zillow. Happy Friday! Get ready to drool over this 1867 brick Italianate home, listed on the National Register of Historic Places. The house is partially gutted, but appears to be full of treasures such as the arched transom doors, built-ins, fireplaces and a beautiful open staircase. Friday Fixer-Upper: Lovely Queen Anne in Minnesota! 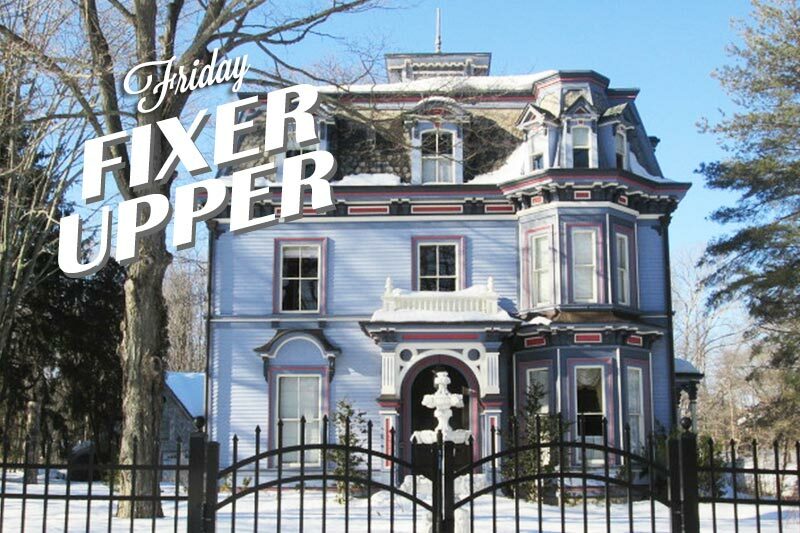 Friday Fixer-Upper: Elegant Wooden Gothic Manor in Rhode Island! by Teresa Iafolla. Source: MLSPIN. Happy Friday! Ready for a little eye candy to start your weekend off right? Friday Fixer-Upper: A Sunny Colonial Revival Home in Providence, Rhode Island! by Teresa Iafolla. Source: RE/MAX of New England. 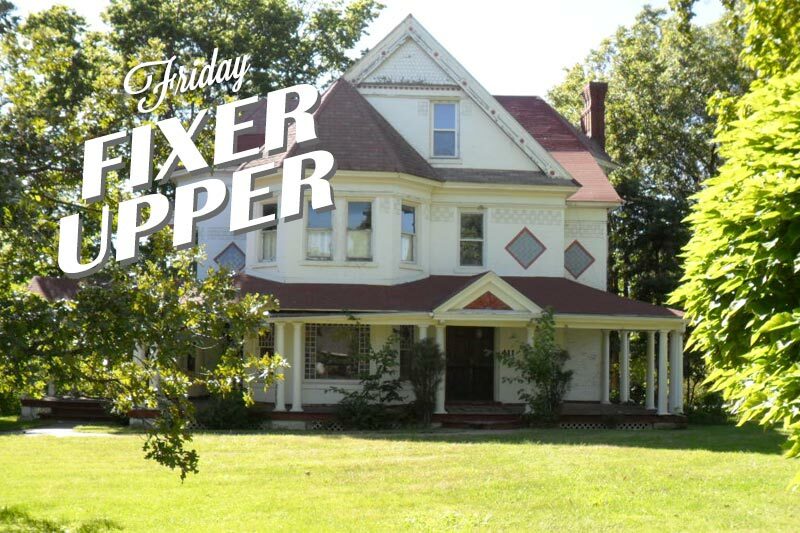 This week’s Friday Fixer-Upper has a beautiful wrap-around porch, and a whole lot of New England cheer! Meet the circa 1912 house that movie star Ruth Hussey once called home. Fixer-Upper: A Sprawling Manor in Hillsdale, New York! Friday Fixer-Upper – A Triple Threat! by Teresa Iafolla Happy Friday, house-lovers! I have some great news for you. 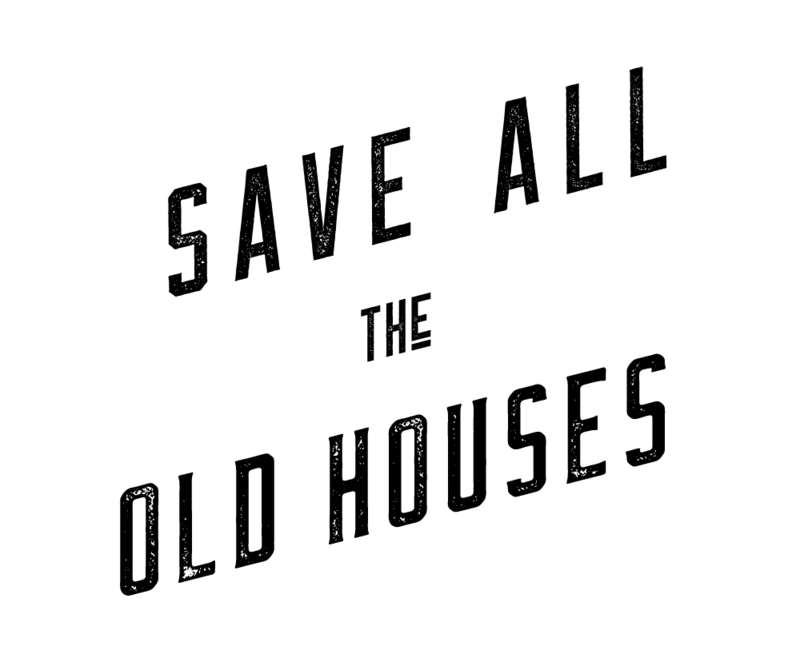 When I started searching for the next fixer-gem for our Friday feature, I found so many gorgeous houses I couldn’t pick just one. Instead, I decided to pull together my top three! by Leona Jaeger If you’ve ever dreamed about the idea of owning your own cozy Bed & Breakfast, wake up! You don’t have to just dream anymore! Save This Gingerbread House in Oxford, New York! by Amanda Davis Well, hello there! I’m back with another Friday Fixer-Upper, and this week I’ve set my sights on this little miss in Laurel, Mississippi. Isn’t she a cutie? And she’s selling for just $22,500! by Amanda Davis I just love this brick jewel of a fixer-upper in Martinsburg, West Virginia. Located on an acre-and-a-half, this mid-19th century brick beauty is selling for $95,900 and has 5 bedrooms and over 3,500 square feet. She’s quite a gem!